In our recent Leadership & Ethics blog, I introduced the Cardinal Virtues. 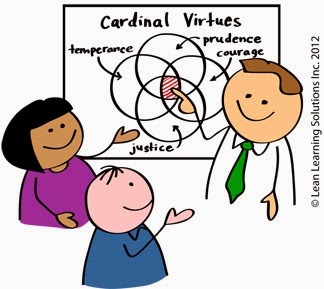 Prudence, Temperance, Justice & Courage are enduring standards of ethical behavior recognized by all major religions & systems of philosophy. Today I'd like to give you all some homework.